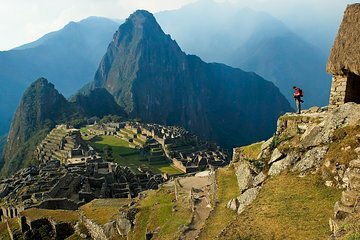 Descubra o Vale Sagrado e Machu Picchu nesta excursão de dois dias. Visite locais importantes como Pisac, Urubamba e Ollantaytambo e descubra seus sítios arqueológicos individuais com seu guia. Passe a noite em Aguas Calientes, a aldeia na base de Machu Picchu, e descanse antes de pegar o nascer do sol na famosa cidadela Inca no dia seguinte. Este passeio permite que você escape das multidões de Machu Picchu no primeiro dia ao visitar locais arqueológicos menos conhecidos. Tive alguns pequenos contratempos, minha entrada para Machupicchu não tinha sido comprada. O guia me deu o dinheiro para compra-la mas eu tive que acordar mais cedo e ir sozinha comprar o ingresso. A minha passagem de trem também não foi junto com o resto da excursão. Todas as pessoas da excursão foram no trem das 16:30 e eu fui no trem das 19:27 tendo ficado quase duas horas em Ollantaytambo sozinha. Na chegada em Cusco a van também não me deixou no hotel pois o motorista alegou estar atrasado para outro compromisso. Awesome quick tour of the sacred valley and Machu Picchu. I feel like I saw more than some friends on a different tour on the same days. They were long days. Between the 2 days I climbed about 150 flights of stairs according to my tracker. And as a solo woman, this tour was good. A rep came to walk me through it the night before at my hotel. All went smoothly. Peru is amazing! This was a great 2 day tour. There is a fair amount of walking involved and changing elevations. Be prepared to awake very early to arrive at Machu Picchu for sunrise. There is a bit of a que in the morning for for the bus up, but it moved fairly fast. The guides were informative and I met some great people on the trip. Excellent tour. It is a lot of moving parts but everything went perfectly! Elvis our guide for Day 1 — was extremely knowledgeable. I agree with previous reviews about hotel in Machu Picchu — it’s not the best (our room had a strange smell) but we were there for such a short time not a big deal. We had an excellent guide named Percy for the Sacred Valley portion. He was raised in the area and was able to make things come alive for us. It was fascinating. The tour is very rushed, which isnt the tours fault. Theres a lot of territory to cover and only so much time. It would have been nice to be able to explore Otallyantambo and Pisac more, but we only really had about a half hour of free time in each town. We stopped and had a nice buffet lunch which was a bit on the pricey side I think it was close to20 US, but it was good. I missed the Machu Picchu tour and went up alone later, so I cant comment on the tour guide for that portion. The bus ride from Aguascalientes to Machu Picchu is roughly a half hour, but it is a roller coaster. If you have motion sickness issues, be prepared. Bring pocket change, the bathrooms are pay to play. I think the rate was 2 soles. Also, you can stash your bag for three soles and pick it up at the end of the trip. The train ride is bumpy, but the cars were comfortable other than that. Its exactly what I expected. This was a great experience. We took this tour in May 2018. Our guide picked us up at our hotel in Cusco right on time. It was a private tour, with the guide and the driver, and we visited a few places in sacred valley before reaching Pisac. We got a well guided tour of the Pisac ruins, visited the Pisac market, drove through the scenic sacred valley, and at the end visited the ruins at Ollantaytambo. Our guide left us at the entrance to the train station, from where we caught the vista dome train to Aguas Calientes. When we reached AC, there was a person at the station waiting for us with our name, and accompanied us to our hotel. He explained to us in detail about the next days activities. Next day early morning we walked to the bus stop and met our Machu Picchu guide, who accompanied us on the bus and then gave us a wonderful guided tour of Machu Picchu. Getting back to AC and then to Ollantaytambo was a breeze, and there was another driver waiting for us at the station, who dropped us at out hotel in Cusco. Overall a great tour that I will remember for a long time. I highly recommend this tour. The tour operators were on top of their game! We had a member of the team meet us the evening before both days 1 and 2 to let us know what to expect for the next day. Everything went smoothly and according to the itinerary. We were brought directly to the train station and had people waiting with a sign with our names when we arrived at our destinations for easy transportation. Our tour guides were great and professional. We went with the standard option for the train and were happy with our decision. We did not feel the need to upgrade the train as it was clean and comfortable. However, if you can afford to upgrade the hotel I would strongly recommend it. Even though it was close to the train/buses, the room was incredibly dirty and smelly. Not the tour operator's fault though. Still would highly recommend this trip. 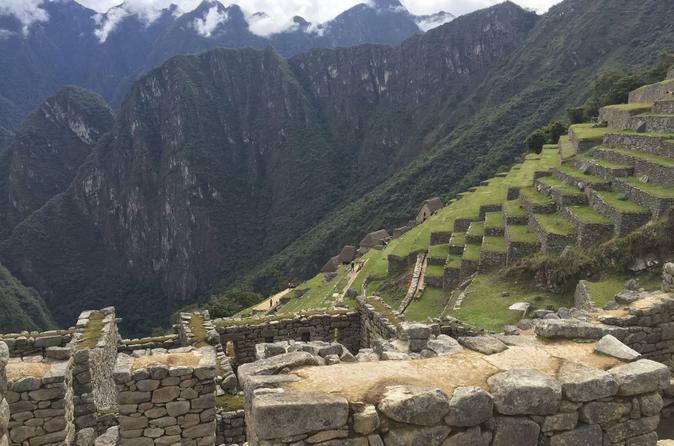 Love this tour - Must do visits to Sacred Valley and Machu Picchu when in Peru! Okay - This is simply a 1 day tour which they stretch it over 2 days with the unnecessary need of staying in a hotel in Aguas Calientes. They tell you that food is not included yet only take you to their singled out restaurant where you're forced to pay for the buffet which doesn't have much again. There was a pizza shop in the distance yet they would turn it down. There are some really nice tour operators out there. Would not recommend this. This trip was one of my bucket list.Unfortunatly the weather was foggy so I have not see all the mountains in the background on Macchu Picchu.Still it was great.Our tour guide was very good.I would recommend this to anyone.I will come back but this time in the summer to do even better photos.